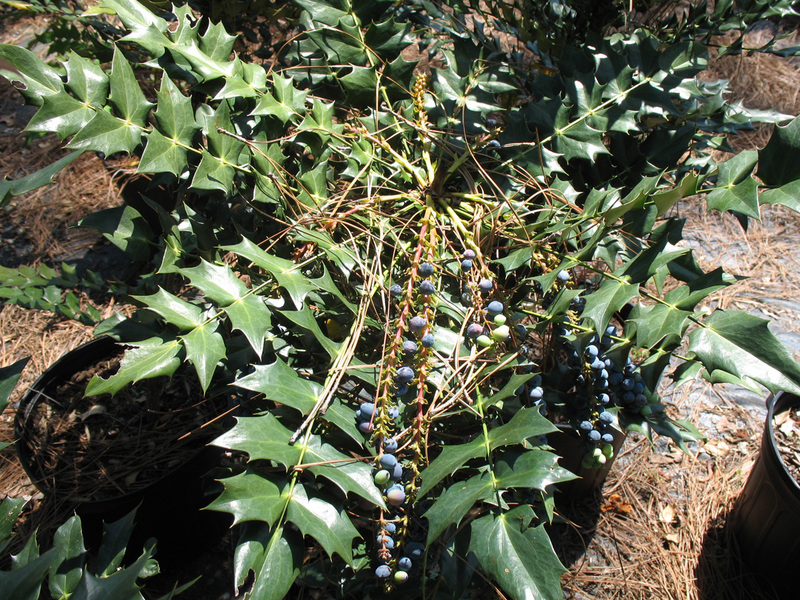 Comments: This evergreen shrub produces large, holly-like leaves and grows upright. Showy, attractive, slightly fragrant, bright yellow flowers on long racemes appear during late autumn through early winter. It is a great shrub for the winter garden because of the yellow flowers and purple berries coming at a time when most plants are dormant. Mahonias do best in partial shade with some sunlight during the morning. Remove the canes of old straggly plant to encourage more new shoots.